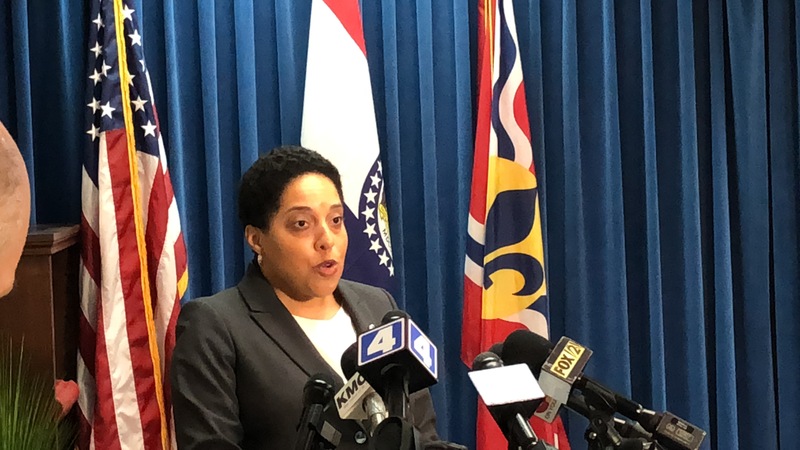 PHOTO: St. Louis Circuit Attorney Kim Gardner announces she will drop the felony computer tampering charges against Gov. 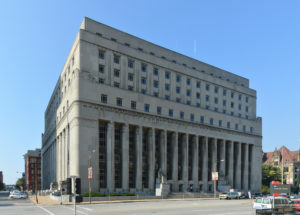 Eric Greitens Wednesday at Carnahan Courthouse in downtown St. Louis. 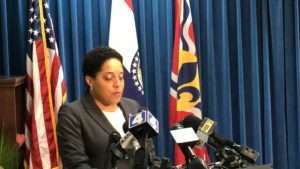 St. Louis Circuit Attorney Kim Gardner announced Wednesday she has reached an agreement to drop the pending felony computer tampering charge against Gov. Eric Greitens in exchange for his resignation. The second-year governor on Tuesday announced from his office in Jefferson City that he would step down effective Friday, June 1. In a press conference at Carnahan Courthouse, Gardner said lawyers for Greitens contacted her office over the weekend to discuss the deal. Greitens has maintained his innocence over the last several months and did so again during his resignation speech. He has also called Gardner’s efforts to prosecute him for a witch hunt. Gardner defended her actions during the press conference. Susan Ryan, a spokesperson for the circuit attorney’s office, said the deal does not protect Gardner from any sanctions she might face for the way she handled the prosecution of the initial felony invasion of privacy case. In addition, Greitens’ lawyers have also accused Gardner’s office of continually mishandling the case and accused her of misconduct. The agreement, which was signed by both the prosecution and defense in Circuit Judge Rex Burlison’s courtroom Wednesday, also has no bearing on the decisions of Jackson County prosecutor Jean Peters Baker, and does rule out potential additional charges related to Greitens’ conduct toward the woman with whom he had an affair, know as K.S. Peters Baker issued a brief statement following Greitens’ resignation announcement Tuesday, vowing to continue her investigation. Ryan, talking to reporters following Gardner’s press conference, would not comment on whether there was an ongoing federal investigation against Greitens. 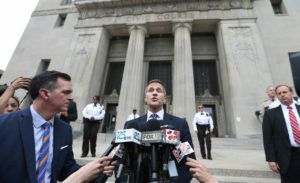 Greitens was charged with felony computer tampering on April 20 but was never indicted. He was accused of taking a fundraising list from The Mission Continues — the charity he helped start — without the organization’s permission, and using that information to raise money for his 2016 gubernatorial campaign. Though he has maintained his innocence throughout the last several months, Greitens suddenly announced he would resign, elevating current Lt. Gov. Mike Parson to the vacant seat. The governor’s announcement came soon after a Cole County judge ruled that a politically-active nonprofit run by Greitens’ campaign staffers — A New Missouri — had to comply with a subpoena. That group has never had to disclose its donors. Judge Jon Beetem issued a six-page ruling Tuesday morning ordering the two entities to produce the documents that had been requested by Rep. Jay Barnes and the House Special Investigative Committee on Oversight. The announcement also came as members of the Missouri House were moving toward making Greitens the first Missouri governor ever to face an impeachment vote. Barnes had subpoenaed the governor to testify next week. In a brief statement, Greitens cited mounting attorneys fees in his resignation speech. He also alluded to “forces” seeking to oust him. “I cannot allow those forces to continue to cause pain and difficulty to the people that I love,” he said.